Discovery Soccer Park at The Wanderers Club is a state of the art soccer facility in Illovo. 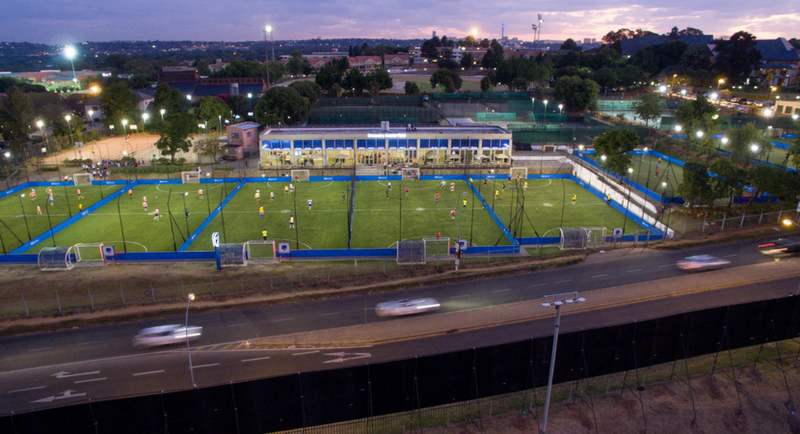 We like to call it the Johannesburg home of the popular ‘scaled-down’ five-a-side version of the game. 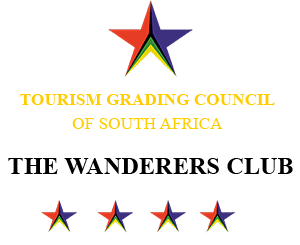 As it stands it is the only one of its kind in South Africa and arguably the finest in the world; situated at the prime location of Wanderers Club in Illovo with easy highway access and secure parking. This five-a-side facility has been precision built to deliver in all-weather, professional soccer stadium peak performance player experience for any level of skill. Eight Flood-lit, small-sided third generation astroturf pitches (FIFA’s highest-rated astro) with kickboards and each with its own electronic scoreboard. With the turf technology imported from Italy, we’ve set a new standard for a world-class facility. The surface is laid in layers for maximum spring, making it responsive to the player’s agility. Pitches are maintained all year round preventing those all too familiar hard and bumpy surfaces we’ve been accustomed to during the winter months. The player’s ‘new generation’ soccer experience is sustained through the use of the adjoining Clubhouse. Its impressive expanse of glass encased in chrome greets the player on arrival. The clubhouse, with its 500m² under roof, stretches the length of the fields for premium viewing. Fully installed with restaurant & bar, big-screen televisions and leisure facilities, there is ample space to continue the camaraderie after the game.